The annual Multi-stakeholder Forum on Science Technology and Innovation for the Sustainable Development Goals (STI Forum) is a part of the Technology Facilitation Mechanism mandated by the 2030 Agenda and the Addis Ababa Action Agenda. It is expected to "provide a venue for facilitating interaction, matchmaking and the establishment of networks between relevant stakeholders and multi-stakeholder partnerships in order to identify and examine technology needs and gaps, including with regard to scientific cooperation, innovation and capacity-building, and also in order to help facilitate development, transfer and dissemination of relevant technologies for the sustainable development goals." It will "discuss science, technology and innovation cooperation around thematic areas for the implementation of the sustainable development goals, congregating all relevant stakeholders to actively contribute in their area of expertise." The first STI Forum was held in 2016. Information on past Fora can be found here. The fourth annual Multi-stakeholder Forum on Science, Technology and Innovation for the Sustainable Development Goals (STI Forum) will take place on 14-15 May 2019 in UN Headquarters, New York. 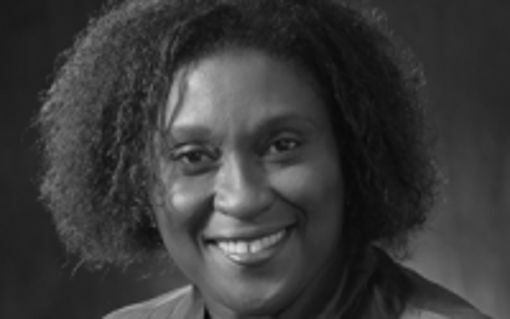 ECOSOC President of 2019, Inga Rhona King, has appointed H.E. Ms. H. Elizabeth Thompson, Ambassador Extraordinary and Plenipotentiary, Permanent Representative of Barbados to the United Nations and H.E. 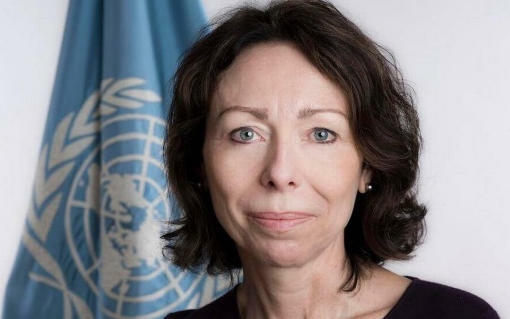 Mrs. Marie Chatardová, Ambassador Extraordinary and Plenipotentiary, Permanent Representative of the Czech Republic to the United Nations, to act as co-chairs of the Forum. The theme of the STI Forum 2019 will be: "STI for ensuring inclusiveness and equality, with a special focus on SDGs 4, 8, 10, 13, and 16". Call for Innovations: Share your workable solutions to advance the SDGs! Have you developed a scientific or technology-based, workable solution that could help accelerate progress towards education, job creation, reducing inequalities or promoting peace? Then the United Nations wants to hear from you! 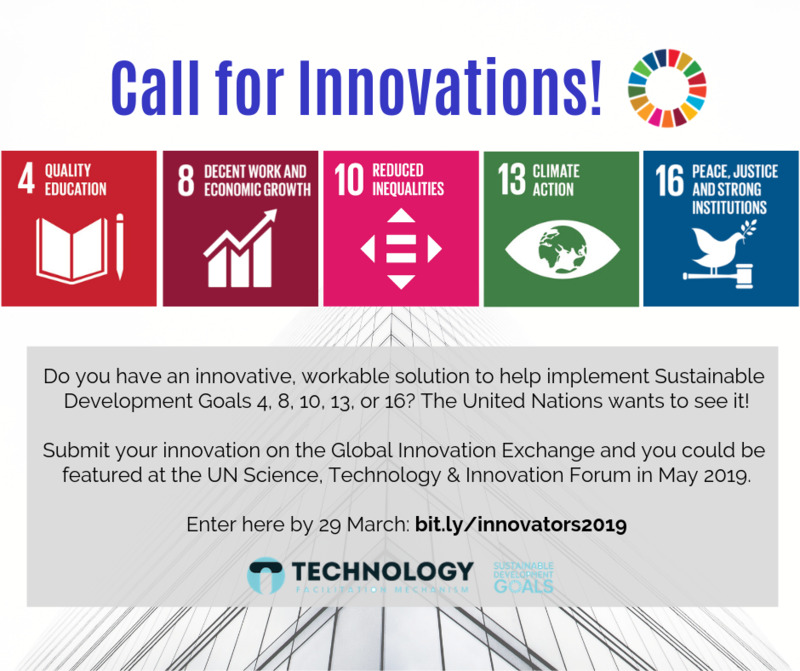 Enter your innovation here https://stiforum4sdgs.globalinnovationexchange.org/ by 29 March 2019. All innovations are welcome and will be reviewed carefully by a group of experts. Past winners have come from all over the world and have represented a wide range of sectors, but all were committed changemakers with workable solutions that had successfully gone through a proof of concept phase and were looking to scale up. Selected innovators will be invited to take part in an exhibition at the 2019 STI Forum in New York. The Call for Innovations is hosted by the Inter-agency Task Team on STI for the SDGs (IATT) and the 10-Member Group appointed by the UN Secretary-General to support the Technology Facilitation Mechanism, in collaboration with the Global Innovation Exchange, a global development technology platform for innovations, funding and insights. GIE's mission is to help scale the most promising innovations by utilizing its database of information to serve as a reliable fundraising resource for social entrepreneurs in low- and- middle-income countries. GIE helps social entrepreneurs or innovators fundraise more easily and connects investors, funders, implementers, practitioners, journalists and researchers to valuable innovation data. Innovations submitted to the Call will be publicly featured in GIE's searchable database used by press, donors, funders and investors, and will receive consideration for initiatives such as GIE's Innovation Finder Service. Innovators can access a comprehensive list of all available innovation funding opportunities across development (more than US $5,200 million). Submitting your innovative idea so the funders, collaborators and potential customers around the world can see it. Encouraging other innovators to submit their innovations. Providing your feedback and insights on the innovations registered during this Call via the GIE platform. Spreading the word. Share this Call for Innovations with your networks and help us find and feature groundbreaking projects from your country and around the world! The annual STI Forum is a core element of the Technology Facilitation Mechanism negotiated and agreed by the UN member States in 2015. The outcome of the STI Forum feeds into the annual High-Level Political Forum on Sustainable Development (HLPF), which is the annual meeting of UN Member States charged with reviewing the implementation of the SDGs. Side events will be organized on the margins of the Fourth Multi-Stakeholder Forum on Science, Technology and Innovation for the Sustainable Development Goals (STI Forum), to be held on 14-15 May 2019 in New York. Side events should be closely related to the theme of the Fourth STI Forum. The theme of the STI Forum is chosen to promote in-depth discussions on the SDGs that will also be in focus at the High-level Political Forum on Sustainable Development (HLPF) meeting in July, as well as on cross-cutting issues relating more broadly to the general area of STI for the SDGs. What are the emerging frontiers of scientific knowledge and technological change that have implications for the achievement of multiple SDGs? How can the stakeholder communities represented here best engage with these issues to maximize potential positive impacts and minimise potential negative ones? 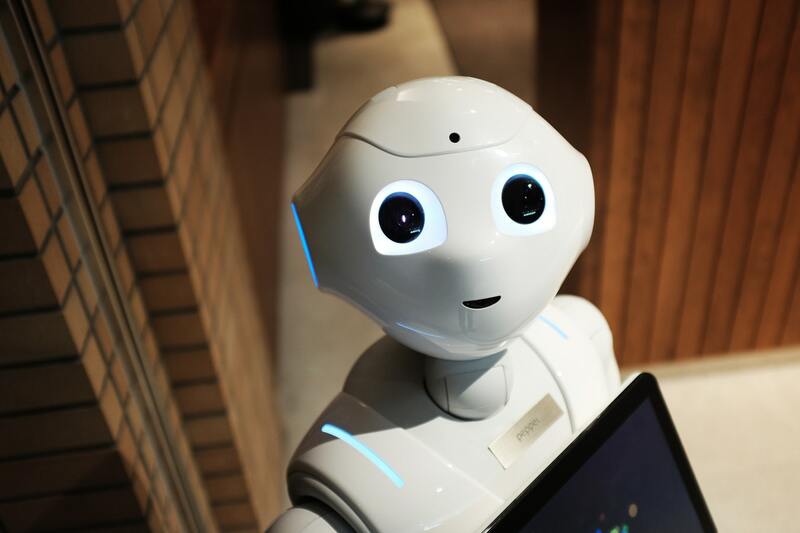 What are the emerging technologies with the potential for high impact in terms of accelerating progress towards the selected SDGs (4, 8, 10, 13 and 16)? What is needed to realize their potential at scale? What are the proven technologies and innovations that can accelerate progress towards the selected SDGs (4, 8, 10, 13 and 16)?
) What are the principal obstacles in scaling-up the deployment of proven technologies for SDGs, especially those in focus (4, 8, 10, 13 and 16)? What are the roles to be played by policy makers, entrepreneurs, scientists, financiers and others in this regard? What are the key elements that countries and international organizations may need to take into account in formulating action plans and/or roadmaps for science, technology and innovation for the Sustainable Development Goals? What are effective models for bringing technological advances to those most at risk of being left behind? What are the effective UN and other multilateral frameworks and mechanisms for engaging with private sector initiatives in the context of STI for the SDGs? Any accredited and registered entity interested in organising a side event on United Nations premises during the Forum can submit a proposal, but each organizer cannot be involved in more than one side event. 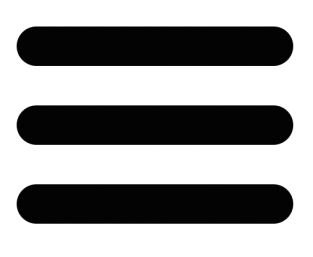 Priority will be given to side events involving multiple organizing partners in order to allow the participation of as many organizations as possible. Given limited room availability on UN premises, organizers are encouraged to partner with UN missions to host side events. Organizers should plan to hold their event in English or make their own interpretation arrangements for side events. Side events must be open to all participants. Organizers of closed events or by invitation only events aiming for an exclusive audience are kindly advised to obtain alternative locations. Side events should incorporate or focus on concrete success stories and examples of innovations, solutions and technologies applied that support the implementation of one or more SDGs. Organisers are encouraged to make the events as interactive as possible, including by allocating sufficient time for dialogue with the audience. Inter-governmental meetings have first priority over other events or meetings. Side events may have to be cancelled at the last minute if an urgent inter-governmental meeting needs to use the conference room where the side event was already scheduled to take place. Publicizing a side event is the responsibility of its organizers. The Secretariat will not produce fliers, distribute notices, or run other publicity efforts for side events. It is the responsibility of the organizers to make their own arrangements regarding United Nations grounds passes for individuals, invited as speakers or guests. All costs for side events including room charges, or additional equipment and services as may be requested by the organizers shall be borne by the organizers. It is requested that payments be made no later than 24 hours before the commencement of the respective side event. The configuration of the rooms cannot be altered and the organizers are requested to remove all their materials after the conclusion of side events to avoid interrupting official meetings. Only printed materials that are directly related to the agenda can be distributed during a side event or at any other time during the STI Forum. The Secretariat reserves the right to remove materials deemed inappropriate. The sale of printed materials or any goods on UN grounds during the side events or at any other time is strictly prohibited. Side event organizers are advised not to set up displays or put up posters on meeting room walls during a side event or at any other time during the official meeting to avoid removal and loss of their materials. Food and drink are strictly prohibited in the UN meeting rooms. Activities that involve food or drink are only allowed in the designated areas outside the UN conference rooms and must be arranged directly with the UN Catering Service. The Secretariat will not facilitate such arrangements. Side events can be organized at other venues outside the UN Secretariat, but the Secretariat should be informed of them if to be placed on the website. Please complete and sign the attached Side Event Request Form, providing a detailed description of the proposed event, including its sponsors, thematic focus, speakers/presenters and its potential contribution to the Forum. Completed and signed forms should be submitted to the Secretariat of the STI Forum until 8 April 2019, through the following link: sustainabledevelopment.un.org/contact, with the subject "STI Forum Side Event Application". Confirmation of selected side events is expected to be shared by 12 April 2019. Please click here to download the side event request form. Governmental and non-governmental representatives planning to participate in the ECOSOC Multi-stakeholder Forum on Science Technology and Innovation (STI Forum) must register for this meeting. The following participants may attend or be represented: Member States, observer States, intergovernmental organizations and entities with observer status in the General Assembly or the Economic and Social Council, United Nations system entities, major groups and other stakeholders, and media. Due to the limited number of seats available for observers in Conference Room 4, only those observers who express their interest to attend the Forum through the e-deleGATE portal, by 17:00 hours on Tuesday, 7 May 2019, will be provided a nameplate on the floor of the conference room. All others will be seated on a first-come, first-served basis. IGOs interested in participating as observers in the STI forum are required to be accredited to the United Nations and register accordingly by 17:00 hours on Friday, 3 May 2019. (A) United Nations accredited IGOs with an office in New York may follow the same procedure for Member States via the online accreditation system "eAccreditation" at https://delegate.un.int/dgacm/delegate.nsf/xaOpenPortal.xsp They should also notify the UN Protocol and Liaison Service of their participation at the meeting. A letter signed by the head of the organization with an official stamp should be sent to the addresses mentioned above. Submit a letter to the Chief of Protocol, stamped and signed by the head of the organization, with the names and functional titles of the delegation attending the meeting. In addition, the letter must include a name and an email address of the focal point of the organization handling the request. The focal point will be notified of the accreditation approval(s) via email. The email is the actual approval notification, a hard copy of which must be presented together with a valid passport or government photo ID to the United Nations Pass and ID Unit for the issuance of a UN grounds pass. The focal point must ensure that copies of the approval notifications be given to the participants before leaving for New York. Intergovernmental organizations (with or without an office in New York) are requested to express their intention to attend the Forum through the e-List of Participants module on the e-deleGATE portal,by 17:00 hours on Tuesday, 7 May 2019. Specialised agencies and related organizations: The registration of the representative of the specialised agencies and related organizations of the UN system (ILO, FAO, UNESCO, ICAO, WHO, World Bank, IMF, UPU, ITU, WMO, IMO, WIPO, IFAD, UNIDO, UNWTO, IAEA, WTO, CTBTO, ICC, IOM, ISA, ITLOS OPCW) follows the same procedures as for States and IGOs. United Nations system, including funds, programmes, specialized agencies and regional commissions, are requested to express their interest to attend the Forum through the e-List of Participants module on the e-deleGATE portal, by 17:00 hours on Tuesday, 7 May 2019. All representatives of STI Stakeholders who wish to attend the Forum must register by completing a dedicated registration form. Please, register using this form: https://goo.gl/forms/5eQstIZicMa2lWzP2 by Monday, 15 April 2019. Confirmations will be sent in separate emails. Media accreditation is strictly reserved for members of the press: print, photo, radio, television, film, news agencies, and online media who represent a bona fide media organization (full guidelines are available at http://www.un.org/en/media/accreditation/request.shtml). Journalists who wish to apply for media accreditation are required to complete an online form, which is available at http://www.un.org/en/media/accreditation/accreditation.shtml All members of the media submitting a registration form will be required to upload a letter of assignment from their Bureau Chief or Editor-in-Chief addressed to the Media Accreditation and Liaison Unit. Two pieces of identification bearing a photograph, including a passport, are also required. Samples of work may be requested. Approved media members will receive an email confirmation with instructions for picking up their UN grounds pass. All media representatives will be required to wear their United Nations grounds pass at all times.